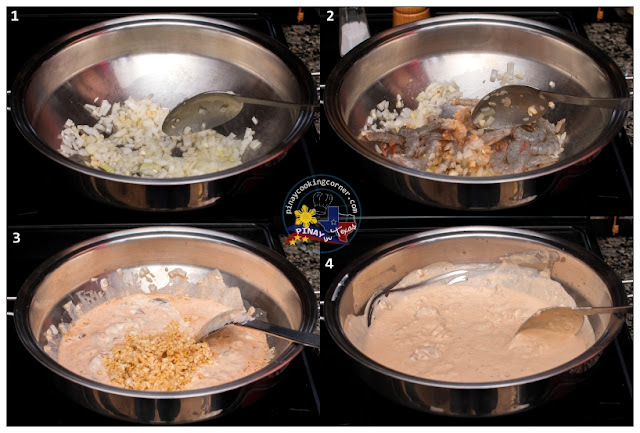 After a two-month break, Kulinarya Cooking Club Challenge is back with a very interesting theme for the month of February...and that is "PULANG ITLOG" (Red Egg) or what's also known as Itlog na Maalat (Salted Eggs) in the Philippines. Like other Filipinos, I really enjoy eating itlog na maalat. I love it as a filling for pandesal, as a topping for bibingka and large ensaymadas, and as an accompaniment to any fried fish. When I was young, I loved eating it with daing na bangus for breakfast. I remember my mom slicing the salted eggs into wedges and serving it with diced onions and tomatoes and the fried daing na bangus. Hmmmm...that was one simple meal that never failed to satisfy my tummy! Having that on our table would always make me eat more rice than I usually do! For this month's Kulinarya Cooking Club Challenge, I decided to share a recipe that I created instead of the above mentioned ways that we Filipinos use salted eggs for. 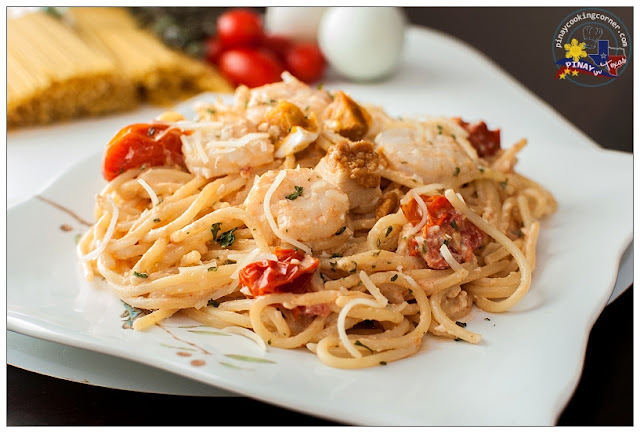 I call it Shrimp, Roasted Cherry Tomatoes and Salted Duck Egg Pasta. It's a simple pasta dish that uses itlog na maalat both in the sauce and topping, and that gives it an interesting texture. 1. In a roasting pan lined with aluminum foil, toss cherry tomatoes with 1 Tbsp olive oil, 1 sprig of thyme and a pinch of salt and pepper. Roast in a preheated oven at 425°F for 20 minutes. 2. Meanwhile cook the spaghetti according to package directions. Drain and set aside. 3. In a pan over medium heat, saute garlic and onion in 2 Tbsp olive oil until translucent. Toss the shrimps into the pan and saute for a few seconds. Add the cream and mashed salted duck eggs. Add the remaining thyme and season with salt and pepper. (The eggs are already salty so don't add too much salt.) Mix until well incorporated and let it simmer for two minutes. 4. 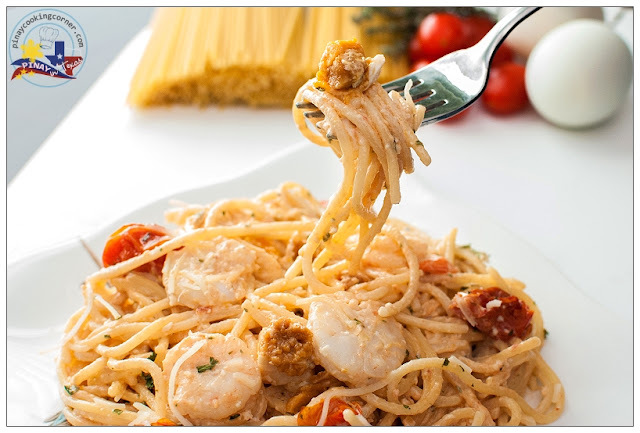 Toss the cooked pasta in the pan and mix until the pasta is covered with sauce. 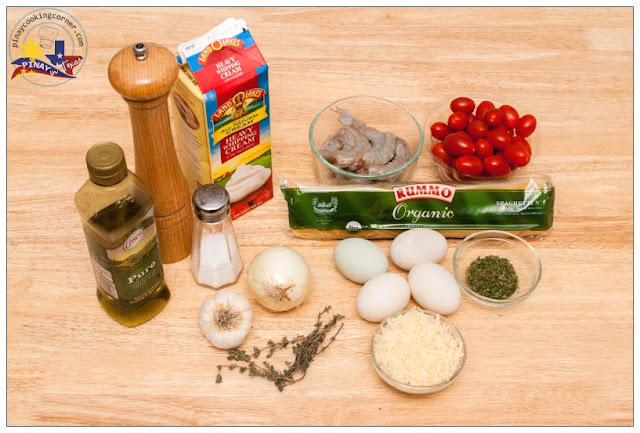 Add the diced eggs, roasted tomatoes and remaining olive oil. Mix gently until well incorporated. Remove from heat. 5. Garnish with some grated Parmesan cheese and parsley flakes. Serve hot. 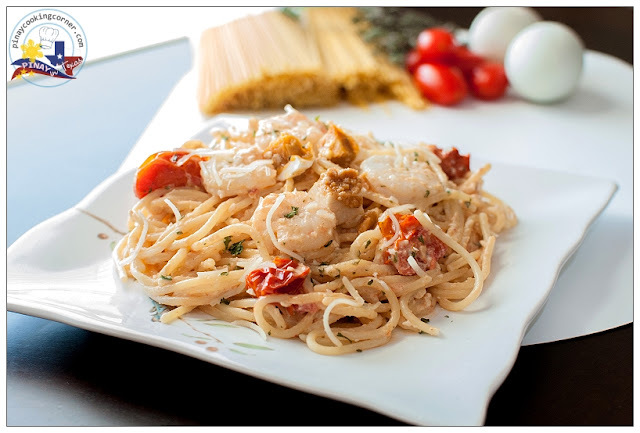 Looks delicious meal Tina Love this cherry tomato in spaghetti. Shrimp and tomatoes seem to go well with salted egg. Will try this recipe the next time I buy itlog na pula. looks perfect and delicious..beautiful clicks..
Really? It sounds even yummier with tinapa! parang ang sarap. i'm into white sauce spag. hope i could find this in restos here.